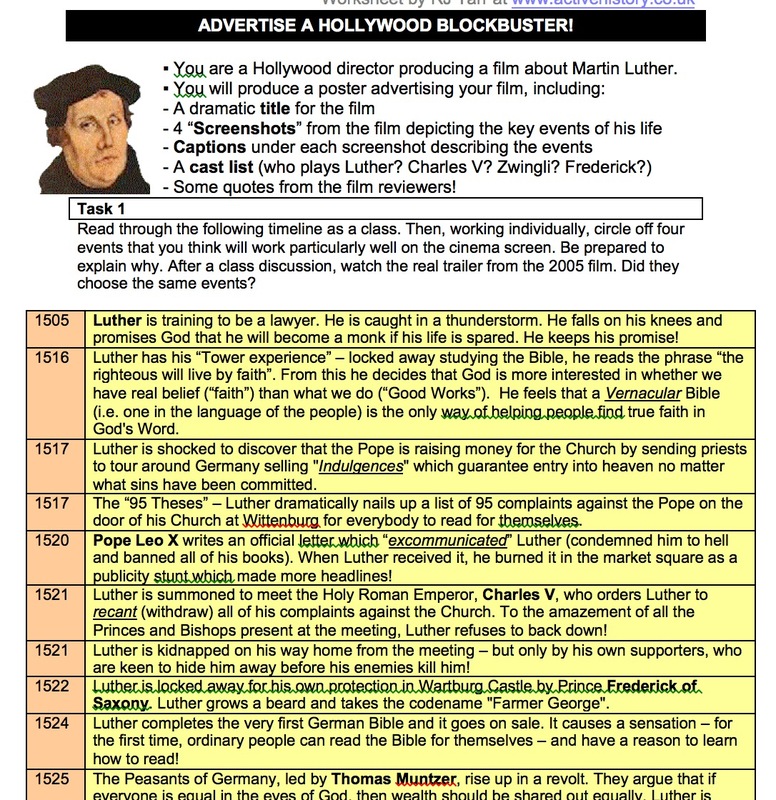 A great way to get students familiar with the key events of a historical person’s life and consider concepts of significance. You are a Hollywood director producing a film about [person / topic]. – Some quotes from the film reviewers! Provide students with a timeline of events. Read it through as a class then each student circles off four events that they think will work particularly well on the cinema screen. 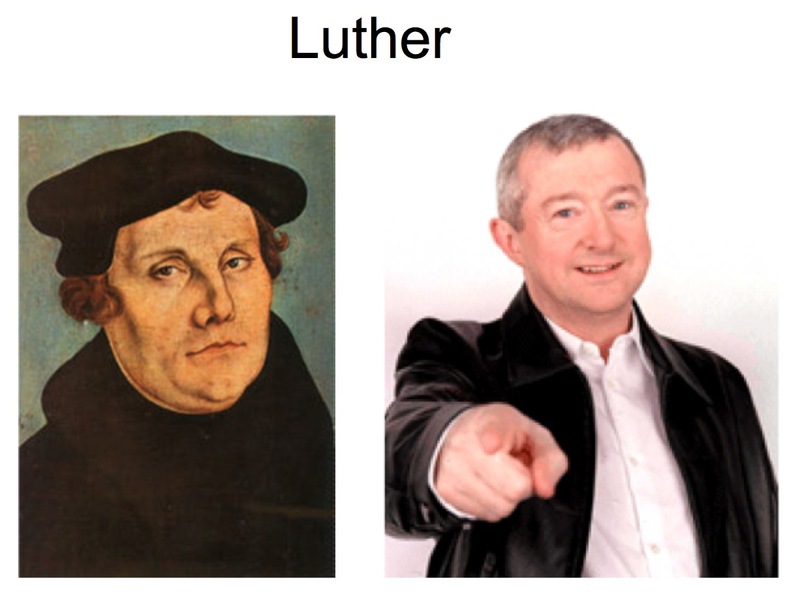 The example shown here comes from my Unit on Martin Luther at www.activehistory.co.uk. What will be the title / strapline of your film? (decide whether you want to depict the main character as a hero or a villain. Discuss as a class first some famous film titles). Choose 5 people from the timeline: Which famous actors would you use to play each of these characters? What sorts of reviews would you include? What sort of merchandise could you advertise as a ‘tie-in’ promotion? At this stage the students are ready to produce the poster using the Mark Scheme Template.